Sometimes we get along, sometimes we disagree. Hayes Valley really is a valley, with the varied terrain between Oak and Fell Street on the North and South and Laguna and Octavia running West and East. 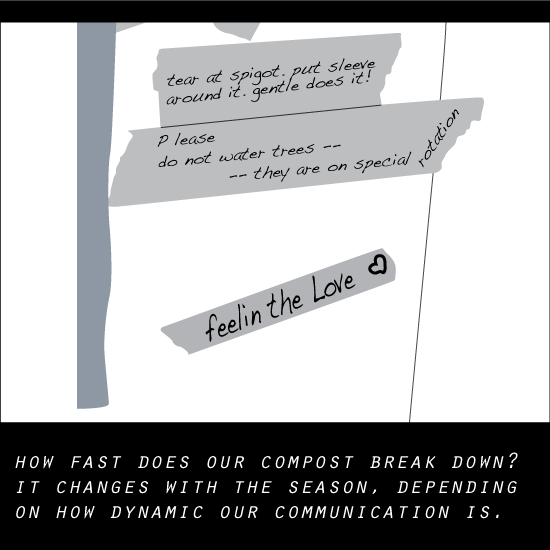 Even with only a few structures — greenhouses and toolsheds — you could be there for an afternoon and miss someone on site. This was good for having several projects going on independently. We learned how to work together, and be responsive to the needs of the large influxes of people, of the sprouting new gardens and to renew resources for classes, tours and family gatherings. Hundreds of volunteers showed up on the site during volunteer days. The scope and level of participation required resilient and distributed modes of engagement. 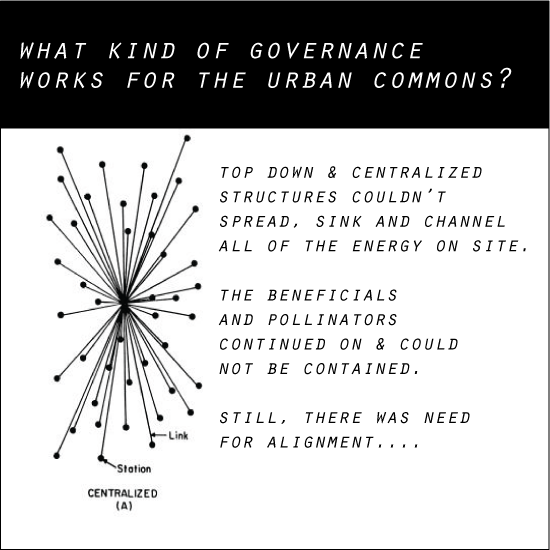 As the project evolved, we gained conflict resolution skills, and explored what it means to manage resources and practice an urban commons. 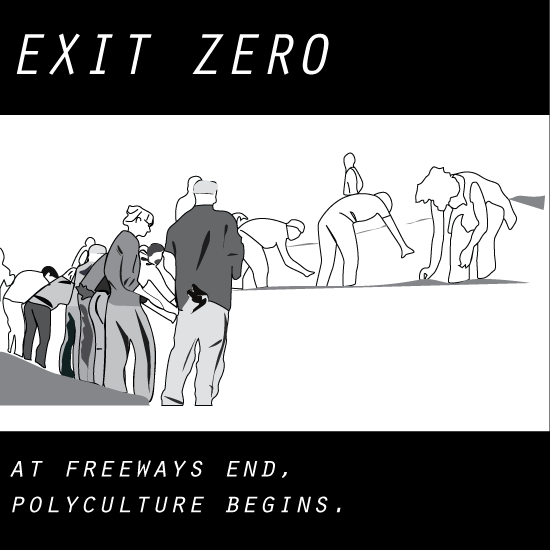 We learned that an ethics of difference is essential for regenerating the commons and that listening is too. Greeters: Greeters worked at the gate during volunteer days, helping to orient visitors to the site and learn about projects that were ongoing. Projects: The projects seeded at Hayes Valley Farm dynamically brought the site to life, engaging people to interact with the land and each other in new ways. Some influential projects at Hayes Valley Farm included Youth Education Branch, the Biodiversity team’s greenhouse and guild plantings, and a variety of events including Dusker. Conflict Resolution: Communication and engagement with difference was central to many of the volunteers who were invested in projects and activities on the site. 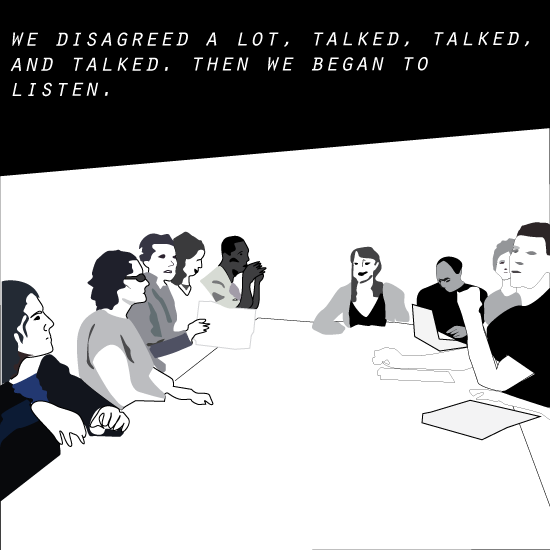 Regular workshops and practice sessions were offered to the larger community and a core group of practitioners made themselves available to work out any issues that arose between groups or individuals. 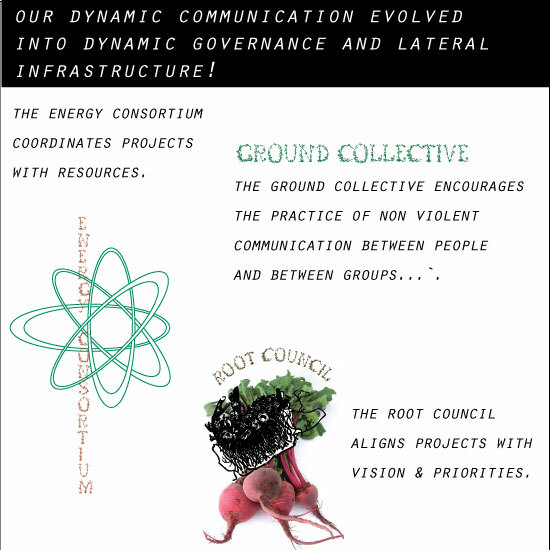 Energy Consortium: A group called the Energy Consortium helped with the sharing of resources between groups and in supporting projects however was needed. 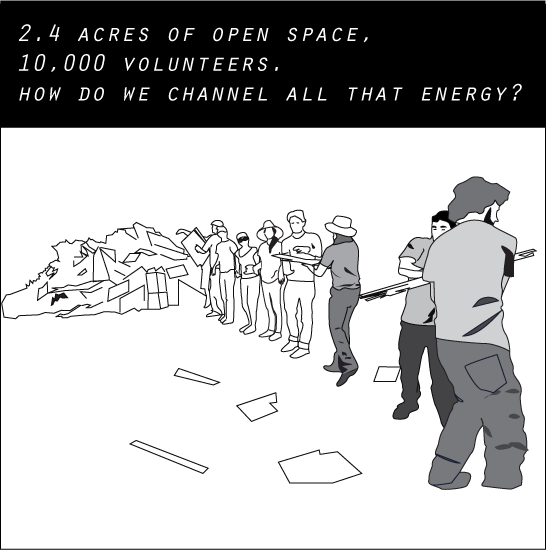 The Energy Consortium also tracked various flows of energy on site: volunteers, harvests and resources for example. 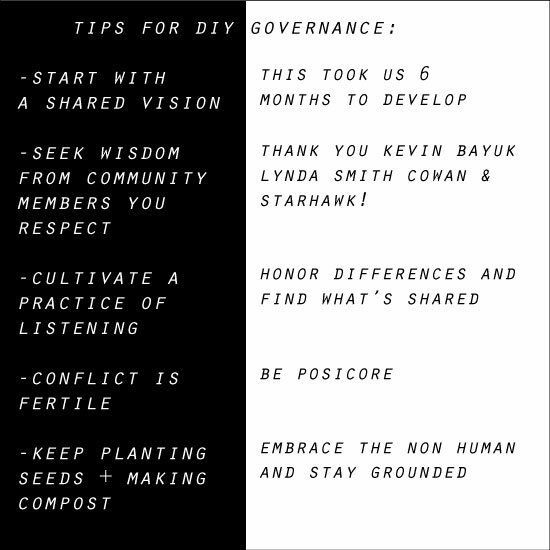 Root Council: The Root Council approved projects based on their alignment with the mission and vision of Hayes Valley Farm. The council also sent representatives to San Francisco City Hall to work out the transition off the site. All Hands on Deck: All Hands on Deck met to reach alignment will all the projects happening on site, to make announcements and to honor the successes of various projects. These meetings also provided the space for establishing a horizontal governance model. 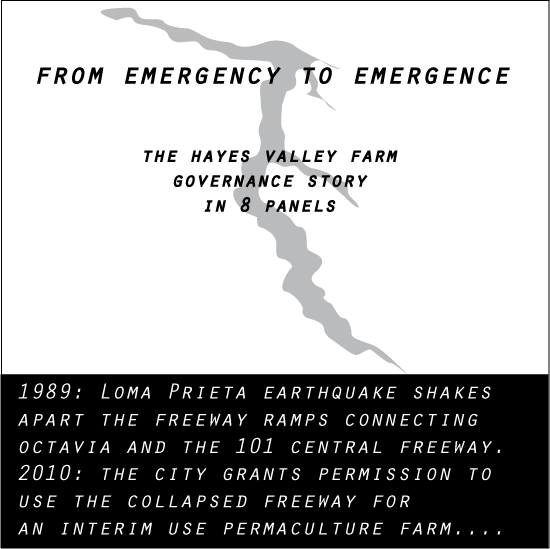 Learn more about the people and partnerships that created Hayes Valley Farm, and the farm’s history.